Simplicity VoIP in its commitment to provide clients value-added services is pleased to announce the introduction of customized audio announcements. As a compliment to its business telephone solutions, Simplicity has entered into a relationship with Richmond based On Hold Marketing to offer customized professional audio services. Whether an organization needs a single recording or an entire schedule of recordings, On Hold Marketing’s experienced team of writers and voice talent is ready to help craft and record highly professional messages. 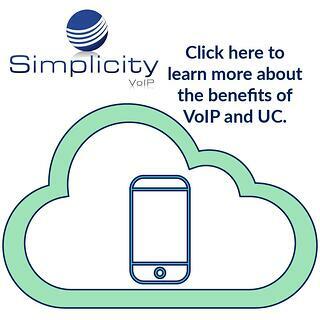 Supported by the Simplicity VoIP Client Services team, message changes are always available and are easily managed by clients or the team itself. For more information about our new customized audio recording offering - click here. On Hold Marketing was one of the early pioneers of the On Hold Messaging industry. It started as a successful Richmond advertising agency in 1989 with experts in copywriting, then added experts in audio production and studio production. Eventually, On Hold Marketing added experts in today’s evolving telephone technology and as a small but well rounded company, has become a leader in the industry. The result is a team of 5 that has earned the loyalty of a national customer base of professional business and medical clients.